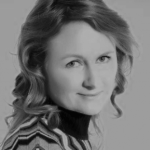 Mel has over 25 years experience in managing and implementing external communications and marketing strategy. She has diverse experience in engagement and outreach consultancy for sustainability projects and funds, specialising in environment and communities. Mel has worked and volunteered extensively in the private and not-for-profit sectors, both b2b and b2c. In partnership with charities, voluntary groups and community-based venues, Mel produces events focused on creative enrichment to help foster community engagement. A learn-by-doing approach emphasises participation regardless of experience. Combining an artistic streak with an undergraduate degree in politics, Mel facilitates creativity workshops for young people and adults to explore community and societal themes. Since 2016 Mel has partnered with horticulture therapy charity, Thrive Battersea Park in London. She curates Locals’ Art Hut at Thrive’s Main Garden for their Open Days and the Chelsea Fringe Festival, and during other festivals including Community Business Weekend and Get Creative UK.